See for yourself how people have used the training and strategies laid out in Optimize Your Video to make tens, hundreds of thousands, and even millions of dollars. These insider’s case studies and blueprints show you winning video marketing funnels to help you generate ideas for success in your own video marketing. 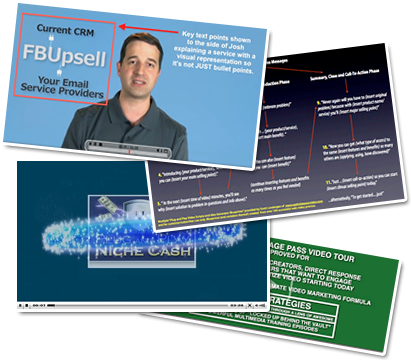 You’ll see video examples, screen shots, and details from successful 6 and 7 figure video marketing funnels in multiple niches. Nothing is more crucial in web video creation than understanding direct response video strategies that work throughout a marketing funnel and how they work together. 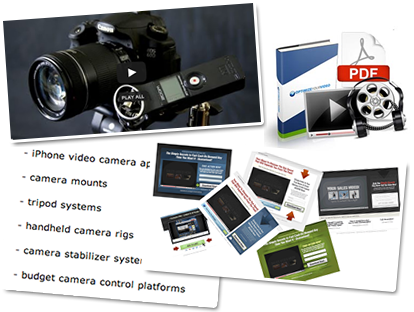 Step-by-step instructions for streamlined video production outsourcing and DIY video creation. 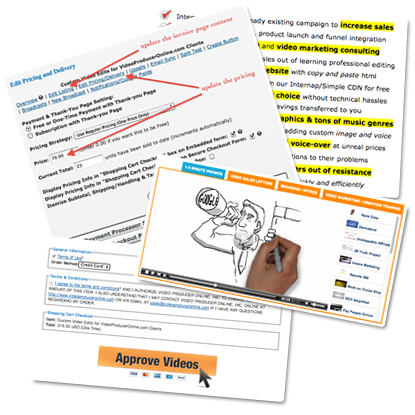 If you’ve ever wanted to create a video sales letter, video based product, video training, or do your own video productions – but didn’t know how to start – this section is for you. Learn the most coveted skills so that you can quickly and easily turn out promotional videos, screen capture video info products, video membership sites, video sales letters and talking head videos. 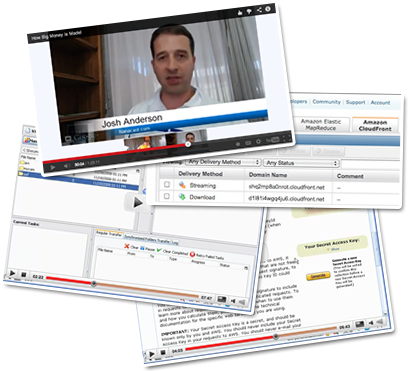 Web video marketing, creation, and syndication is all the buzz right now in the new media and social revolution. Now you can harness that energy to reach new audiences. 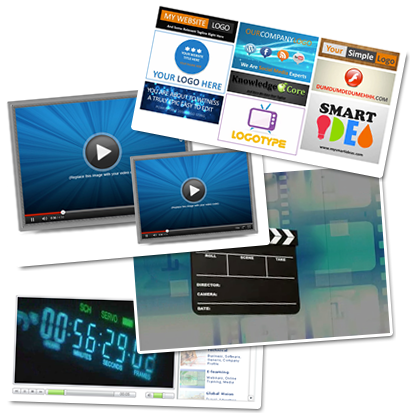 See how to publish and syndicate targeted and response pulling marketing videos. You’ll find out how to get traffic to your videos and how to use the free and paid distribution video systems. Luckily it’s not as complicated as it sounds… you just need the right guidance to get rolling. There are several ways to deploy video on the web. We’ll take the confusion out of the process so you can quickly and effortlessly leverage all forms of web video publishing. Over the last 8 years we’ve worked with hundreds of clients to see what types of website video placement, call-to-action triggers, and optimization techniques work best. Podcasting is one of the keys to reaching the widest audience including portable media and mobile devices – we’ll show you how to do it. You get a complete rolodex of royalty-free video resources and instant download access to complete music collections, video marketing graphics, video player backgrounds, and brandable video intro templates so you can create income-generating videos straight away! Add royalty-free video into your talking head, social media, and content-based promotional videos. These can add a professional touch to any video. The great thing about royalty-free content is that you can integrate it with any of the “Done-For-You” video creation solutions we recommend. 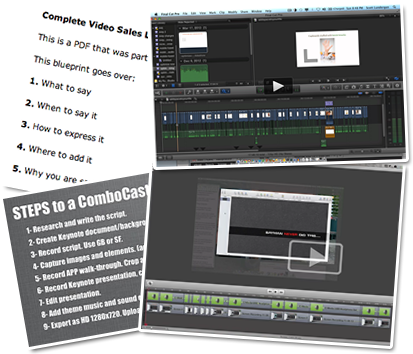 You’ll also see exactly how to “reverse engineer” these resources to come up with creative concepts, ideas, and scripts for your videos. With this little technique, you’ll never get stressed out about coming up with new ideas and content for videos. 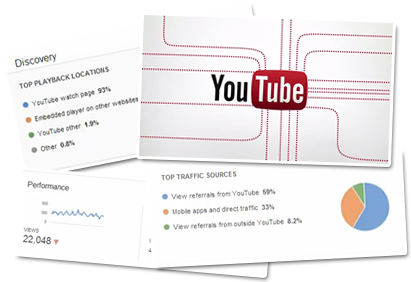 There are simple ways to maximize YouTube video marketing that will be covered in this module. You’ll see how to apply them directly to your business to leave the competition playing catch up. Now you can have the same knowledge our clients have from setting up a YouTube channel the right way, understanding the small details, integrating with social media platforms, how to use YouTube for instant video traffic. Take advantage of our years of using video delivery networks to discover the most innovative ways to publish your video messages and ideas when delivering free or paid video to your audience. You get access to the strategies, resources, recommended software, optimized settings, and profitable publishing techniques for delivering any type of media to your end user with simple to follow steps. 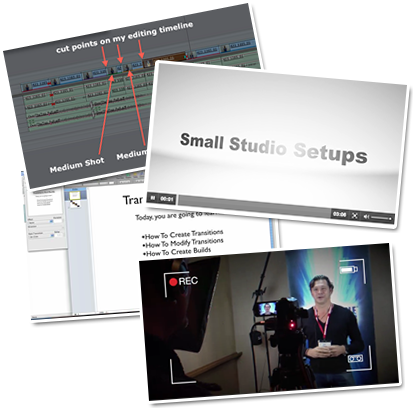 You get unlimited, hands-on access to the resources and training we use to create great web video productions for our clients. We’ve created multiple 100k video producing businesses without a DIME in advertising using low overhead. If you’d like to generate profits creating or outsourcing video for others, we’ll explain how to start your own web video production business, advertise for free, get clients to line up, and have them doing repeat business with you. This bonus training contains the exact methods we’ve applied for 8 years that has created new and ongoing repeat customers. We’ve sold this training as a separate product but you’ll always have full access when logging in. I’m STUNNED by how much AWESOME is inside this membership! Thanks so much to you and Josh for creating such high-quality, value-laden material. I can’t wait to get more free time to just spend a few undisturbed hours browsing! I had already spent hours searching another course; which I spent $2,000 on, without finding an answer. This speaks volumes about the quality of your work. 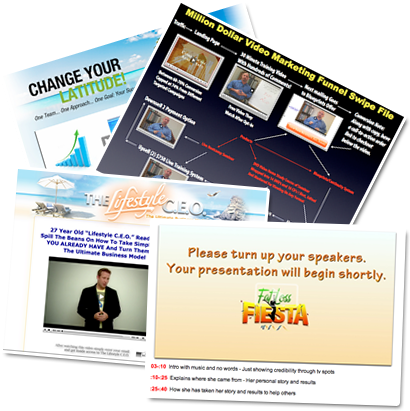 Scott has done videos for 7 of my sites and we have seen conversions increase the day we added the videos. He understands the marketing required in the visuals and the sales copy and that makes it so easy for me. The value Josh’s strategy insights bring to the table is beyond words. If we ever need to something unique or put a spin on a marketing angle, Josh figures out a way to make it happen! I’m going through the content today. You’ve done an outstanding job in organizing and explaining the ins and out of making impactful videos. Learning and applying these video techniques will make it so much easier for creating high-end looking video – with impact. Your membership is PACKED full of the juiciest, most relevant and up-to-date materials. I’m absolutely blown away with all the high-quality videos and courses. Scott did all the videos for our launch funnel that knocked out about 1.2 million dollars in 5 days. Scott not only knows how to shoot the videos and do good quality, but also with promo videos to make sure the copy is good. Right off the bat, one of the videos Scott did has almost doubled conversions from traffic to lead. Since all videos have been put in place, that particular system has a conversion rate of 10% from lead to sale. I feel compelled to say that your course material far exceeds the definition of over-delivering. While I like the a majority of other video courses… other courses pale in comparison to what you guys deliver. 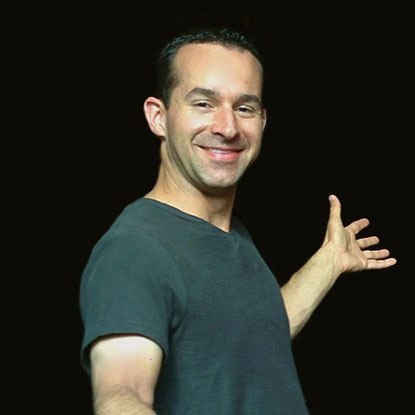 Scott is a ‘booked up months in advance’ web video producer for 200+ business online with repeat clients since 2007 from his Video Producer Online company. Clients go to Scott when they want to create and integrate custom video campaigns. These have been the keys to several marketing funnels for 6 and 7 figure businesses. 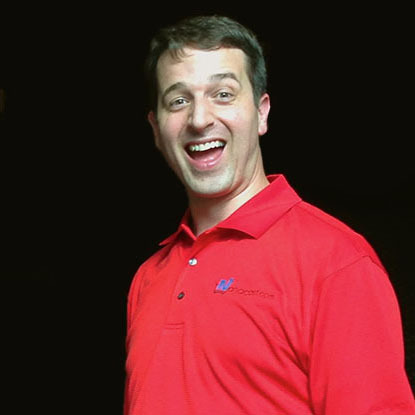 Josh and his team have developed several breakthrough product and services in the eCommerce and direct response video software markets over the last decade. Along with providing budget friendly direct response video tools for content creators, he continues to innovate with his Nanacast business automation and media delivery platform. 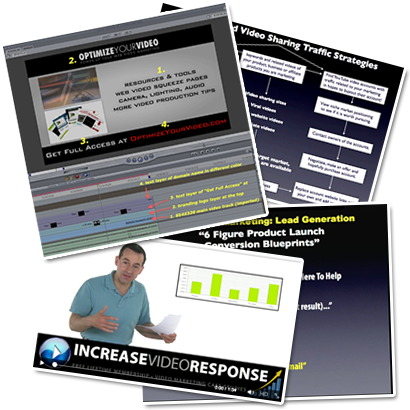 Other companies charge thousands of dollars for their web video production and marketing training packages that don’t cover a fraction of what we deliver in Optimize Your Video! If you have any questions once inside, we’re just a phone call or e-mail away! 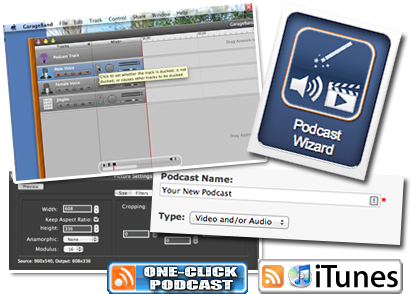 You can easily navigate through any section and consume the clearly labeled video, audio, PDF, or text based episodes. See how to simplify web video campaigns and get behind the scenes results from our own video marketing clients. Get step by step clickable flowcharts and quick start guides so you know where to get the right content fast. Stay updated each month as we add real world video marketing practices and tips on how to produce effective video. We stick to the core of the subject and deliver content that is clear, concise, and to the point. You get access to the same topics, training, and tools we share with our high profile clients. You can contact us with any questions relating to the membership or about using video in your business. When you get access, you receive our free consulting as well. We personally guarantee your satisfaction or you get your money back. It for any reason you’re not satisfied, just send us a notification within the first 30 days for a refund. When did Optimize Your Video start? After hoarding back content for a few years, we released this to new customers in February 2010 and have posted between 2-6 new episodes and updates a month along with updating past episodes as needed. In doing so, we’ve created several key module sections that relate to video for your business and even walk you through each to demonstrate how to apply the knowledge we share with you. You get to see everything we share and can contact us with any questions. We’ve also been in the online trenches since the 2000’s creating multimedia products, custom video services, delivery systems, and video/audio software for thousands of customers. Why a one-time $147 investment? Our first thought was to ask just $497 for lifetime access… or just $97 a month. One single tip, cost-saving tool, or advanced strategy from the detailed episodes could cover your small investment for years to come. Here’s the deal though… We want to share this knowledge with as many web video marketing enthusiasts and online businesses that want to stay ahead in the new economy by adding video to grow their business. That said, you must remain completely satisfied about having access to what you’ll receive. If you’re not, then just contact us for a simple refund without any hassles or hoops to jump through. How do I know this can help me? Optimize Your Video is based on results experienced by ourselves and our clients – and like our current users, you can easily just login and get the EXACT episodes you want to consume! Within the last several months, we’ve posted client case studies that include 13 million YouTube views, high-converting video websites we’ve produced for clients, and a 20 million dollar video marketing funnel. Josh owns a video content delivery system where he gets behind the scenes access to see how users are publishing podcasts, videos, sales videos, and information products. Scott is also involved with producing custom website video for several clients who are constantly churning out innovative video marketing funnels that can be replicated in other businesses. What happens after I get access? Right away, you get an unfair advantage with the blueprints and different sections laid out for you. You get to review exactly where you can add new video creation and publishing into your business and see the response boosting returns you deserve. We’ve heard current customers tell us about how they regret not getting access when they first came across us… only to blame themselves later. Those customers originally missed out on those opportunities – but you don’t have to miss out any longer. We’re putting the final touches on some exciting video marketing updates and excited to share them with you. But when we serve them up, you have be there to receive them – and that can only happen if you get access today.